« What is a Kerf Frame? 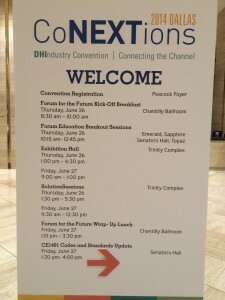 I had a wonderful time at the DHI Convention this year. Many things contributed to the success of my trip to Dallas. First and foremost was the pleasure of reconnecting with the many friends that I made over the last two decades working in our industry. I said friends but truth be told I would be more correct in saying family. One of those being truly the best friend I have ever had. I met Ginny Powell working for Pleasants Contract Hardware twenty years ago. Our friendship has endured and deepened through the years. Our journey has taken many turns and now has us working for competing manufacturers. Through all the changes our friendship has evolved and we always find a way to make it work. It was truly a pleasure being able to spend time with her throughout the week. The mention of family most definitley includes members of my work family. It is always a blast when we get together and this week was NO exception. Mesker and Design Hardware held their annual sales meeting on Wednesday at the Texas Ranger Stadium. 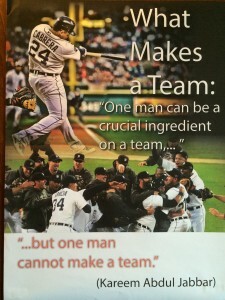 This year’s theme was team work and what a phenomenal job the ownership team did in conveying the mutual love and respect we all have for our team members. It may sound strange talking about love in the context of co-workers and sales meetings, but it is the right word. The meeting started and ended with tears of gratitude and unity. There was not a dry eye in the room. I work for and with amazing people and am extremely fortunate to represent the Mesker and Design families. OMG, thank you for such a wonderful week! CoNEXTions…connections. It’s what I focused on during the week. 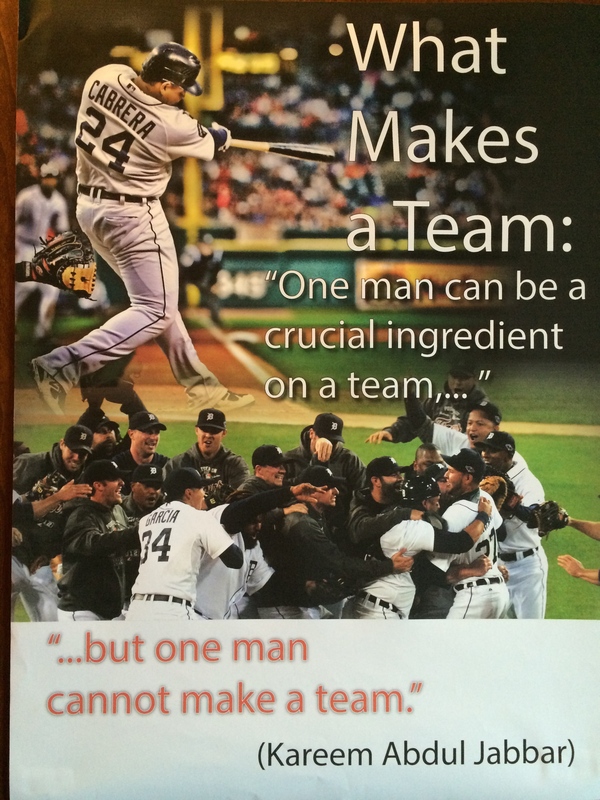 Together we all make up a team and I feel fortunate to be a member. But, there were also great opportunities for growth and learning. 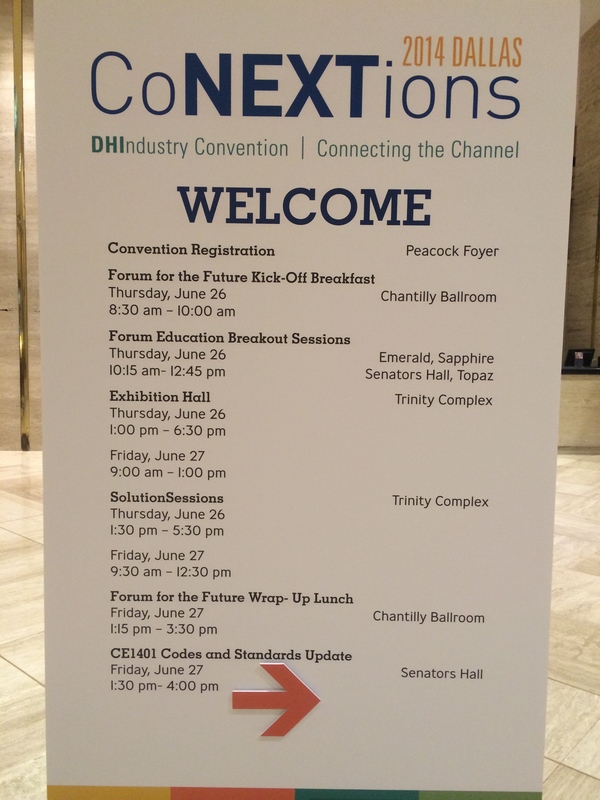 Throughout the week I will post more about some of the things I learned while attending DHI Dallas 2014. There was a great variety of key note speakers, breakout sessions and Solution Sessions. I’m sitting in the atrium of the Hilton Anatole as I am writing this and feeling more than a little sad saying good-bye to those I won’t see for another year. I can tell you that I am already looking forward to DHI2015 Baltimore!